Freedom is liquid, supple, mellifluous. It surrounds us, engulfs our bodies, drowns our fear. We plumb freedom's depths and consume the nourishment within. From these waters, we are born; when we die, we shall return to those waters. Out there, among the stars, are the waters, freedom incarnate. That dark, endless void is our destiny, our path, our goal. We must not fear it, nor should we control it. Rather, we should embrace it, trust it, love it. Its ever-changing face, its protean existence, is our very essence. We are those stars, the void, the awesome waters of space: ancient, forever, free. 2017 Updated: The Proteus is the Gallente Strategic Cruiser. It is, by a wide margin, the least popular T3 cruiser in Known Space. This is due to a number of reasons, including limited mid slots (you can only fit a maximum of four), and the sometimes odd bonuses of its subsystems. It is not a good choice for missions, due to its limited range with blasters and poor tracking with railguns. These attributes also prevents it from doing well in incursions. It has a small number of mid slots compared to other T3s like the Loki or Tengu, so it has limited ability to fit utility modules like webs. The Proteus has a good niche as a cloaky PvP ganker. Its ability to fit a Covert Ops cloak, high DPS blasters, and an extended range point or scram makes it excellent for decloaking on someone, annihilating them quickly, and escaping before their friends can respond. The recent T3C rebalance has also narrowed the fitting flexibility of the Proteus, preventing a full rack of Medium railguns being fitted, unless a lowslot Co-Processor 2 is added. T2 Armor Tanking - Hull Upgrades 5, Armor Compensations at least to 3 (preferably 4) - ABSOLUTELY MANDATORY! Strat Cruiser Skills - Gallente Strategic Cruiser to 3 (if you overheat a lot, train this higher). Defensive subsystem should be at 5 with the others at 4 (5 is preferable, especially for offensive). T2 Blasters - Medium Hybrid Turret 5, Medium Blaster Specialization 3 - Flying a T2 or T3 DD ship without T2 weapons will lead to mockery of your lossmails. Gunnery Support Skills - Try to have all applicable gunnery supports up to at least 4, especially Controlled Bursts (Cap is life!) Again these are not necessarily needed, but highly recommended. 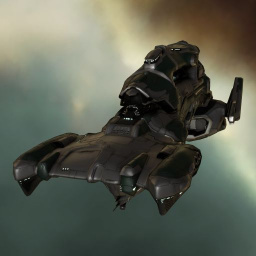 In PvP, the Proteus is normally a brawling ship. Get in close on your enemies, blast them with the high DPS of blasters and broadcast for reps if you're primaried. Use your range-bonused point to stop enemies escaping your grasp (if this is combined with Loki webs you make a very effective tackling pair). While you are not being shot it can be worth trying to lower your transversal to the target (keeping at range or sitting still) to apply full DPS with Void. Please note that the skills page needs to add Gallente Core systems. The link leads to Gallente Engineering Systems which is the same thing. This page was last modified on 5 October 2017, at 02:38. This page has been accessed 202,810 times.